Be Found in the most anticipated issue of the year. The April/May issue of Wood Floor Business magazine will feature the second annual WFB Design Awards, the Expo Exhibitor Showcase and a comprehensive State of the Industry report. It’s one of the most popular issues among readers, making it an exceptional marketing opportunity! The 2018 Wood Floor Business Design Awards is a wood flooring design contest open to the entire wood flooring industry––giving your company an incredible opportunity to showcase your product and service offerings among the best of the best. Last year we received over 70 individual entries and excitement around the Design Awards will continue to spread beyond the April|May issue. That means even more brand exposure and recognition among the latest and greatest wood flooring projects. ​​NOTE: Suppliers of each project will be mentioned in the project feature free of charge if listed at time of entry by submitter. Maximize your trade show investment and drive more leads with wood floor business! Get your trade show promotion started right and drive traffic to your exhibit space with a Trade Show Booth Preview featuring a photo and detailed product description of your choice. NOTE: Digital upgrade offer only available to April|May WFB advertisers. 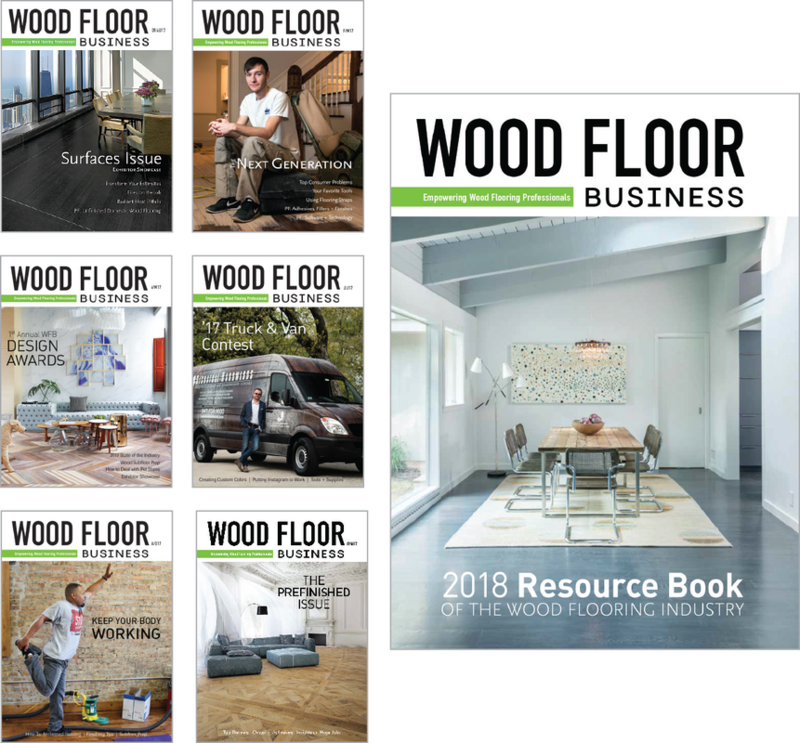 ​Our 23,500 audited print readers and thousands of monthly woodfloorbusiness.com visitors utilize the State of the Industry report as an annual resource to stay on top of the latest trends and guide their businesses. Check out the full 2017 State of the Industry Report. No matter your goals, Wood Floor Business has the mix of marketing solutions that is right for you and your budget. ​To get started, select below that is most closely aligned with your desired result and we'll find the solutions that are right for you!